The base newspapers not only gave WAVES information about the uniform of the day: they also gave women guidance about how to assemble the uniform. 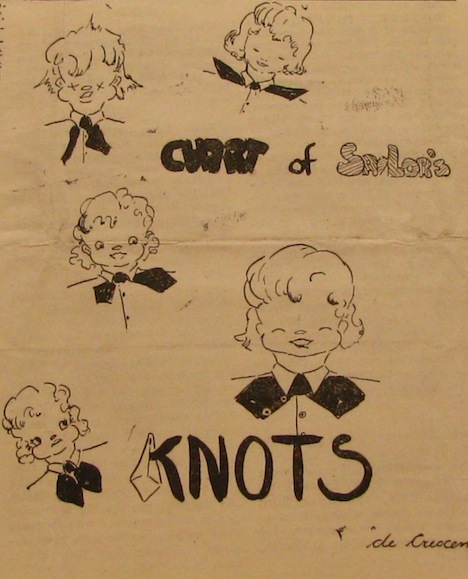 This comic shows newbie WAVES how to tie the “proper” knot for their uniform tie. It was published in the base newsletter for the Cedar Falls training center. The image comes from the collection of the University of Northern Iowa archives.